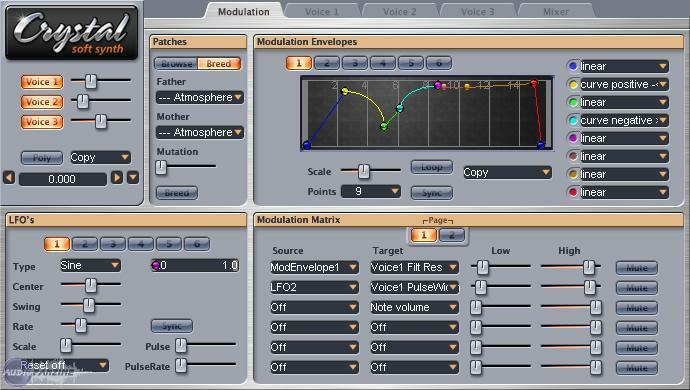 Crystal [Freeware], Virtual hybrid synth from Green Oak. 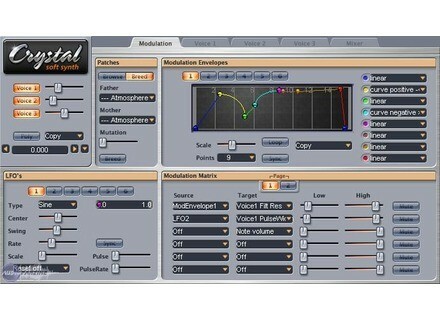 Green Oak Software has announced the release of version 2.5.0 of Crystal, the free semi-modular software synthesizer for Windows and Mac OS X. With this new version, Crystal is now available as a 64-bit plug-in on both Windows and Mac OS X, VST and Audio Unit (the AU version is actually v2.5.1). Green Oak says "Now that 64 versions of DAWs are widely available, and desirable because of virtually unlimited address space, the need for plug-ins which support 64-bit is growing. With 64-bit support in Crystal 2.5.0, you can now use it in 64-bit DAWs without having to resort to use of wrappers." Overloud TH2 Overloud has announced the release of TH2, the new version of TH1 virtual guitar amp plug-in.